Drive safely at night. 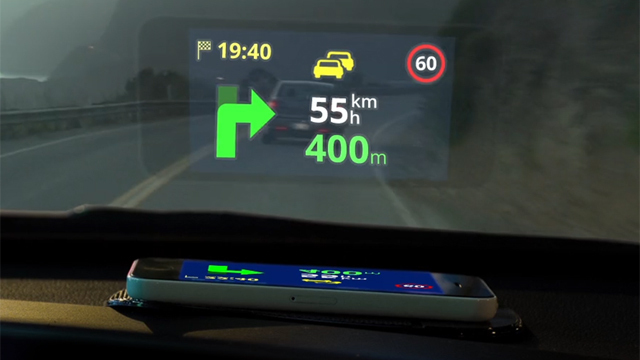 Head-up Display projects optimized navigation instructions onto the car's windshield so that you don’t have to take your eyes off the road while driving. All the necessary instructions are projected directly into your line of sight, so you can focus on driving. 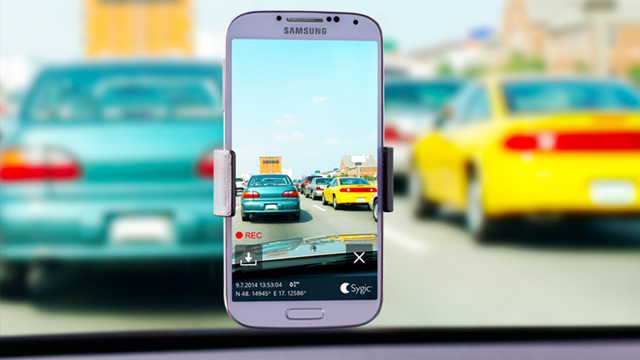 Dashcam is a great feature that continuously records video of the last 5 minutes of your drive. There is no need to spend money on a dashboard camera, your phone and our navigation app are perfectly capable of doing the job. And you don´t have to worry about the storage; the app only saves the recording after a simple tap on the screen. 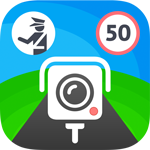 The video will be saved automatically in case of an accident. Use the power of augmented reality and replace the map with the real-world view. 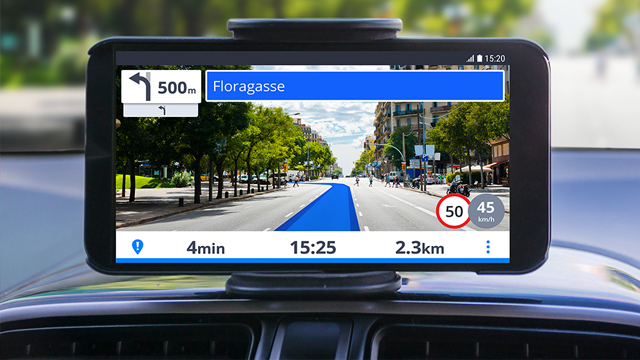 This innovative feature uses your phone’s camera to display navigation over the view from your car. You won’t see the navigation instructions on the map, but directly on the street you are driving on. Cockpit is a powerful feature that shows you the real-time performance of your car. 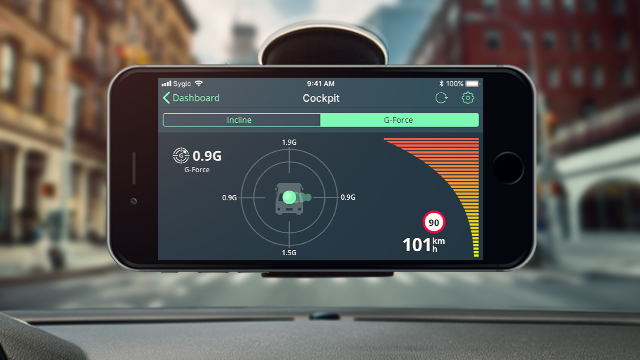 Cockpit will measure the G force and give you more detailed driving information, such as acceleration, incline, altitude and more. CarPlay makes navigation easier, more comfortable and safer. Once connected, you can use the app without looking down at your phone. You can use your car’s touchscreen, knobs or buttons to control the app.